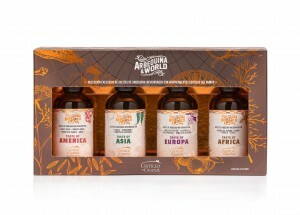 Castillo de Canena—already renowned in more than 50 countries across all 5 continents for its high quality Extra Virgin Olive Oils—has now infused its exclusive Arbequino Extra Virgin Olive Oil with a selection of the finest spices from each region of the world to create a unique new product: Arbequina&World. These exclusive oils are inspired by the history of the spice trade—the voyages of the Manila Galleon by sea, the Silk Road by land—with all their maps, journeys and discoveries. The new collection specifically pays homage to the intimate relationship between Spain and the spice trade which for 250 years linked Asia, Europe and the Americas through the voyages of the Manila Galleon, which annually plied the route between Manila (in the Philippines) and Acapulco and Veracruz (in Mexico). From the American ports, these Spanish ships bore the precious spices from Asia and the New World on to the Iberian Peninsula, whence they were distributed throughout Europe. The Spanish port at Cadiz was the gate through which the most exotic spices of Africa also entered Europe. “Castillo de Canena wishes to pay homage to those distant times in which Spain was at the forefront of gastronomic fusion and the mestizaje of flavours. We have chosen to recall this history and interpret it for the present through an innovative exercise in gastronomic geography. We have charged the master picolier Marcos Reguera with selecting the best and most characteristic spices of each continent, and we have infused our Arbequino Extra Virgin Olive Oil with these flavours as a testimony to the great travellers and explorers,” explains Rosa Vañó, Director of Sales and Marketing for Castillo de Canena. 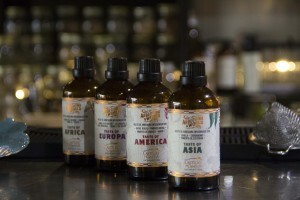 The result of this combination is an exclusive collection of Castillo de Canena’s very best oils of the Arbequina variety (99.5%) infused with a unique bouquet of 100% natural spices: ideal for enhancing our dishes and achieving extraordinary recipes, as the flavour of a dish is entirely changed by the presence of spices. “This new collection arises from our search for new sensations that permeate Extra Virgin Olive Oil. On this occasion we have added the finest 100% natural spices like cinnamon, cardamom, Szechuan pepper, Brazilian peppercorn and cumin, among others. 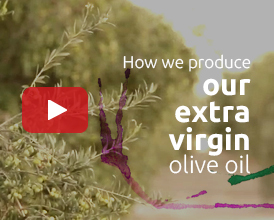 A mixture of natural aromas and flavours that perfume the Extra Virgin Olive Oils, creating a sensory voyage around the world: a unique and surprising culinary experience,” says Rosa Vañó. Spices have enriched and enhanced traditional culinary rites, blending with local flavours over time. They serve as dressing and condiment, and have gradually been integrated into the gastronomy of each country. Arbequina&World includes four bottles of Arbequino Extra Virgin Olive Oil, each one infused with a special mixture of spices from each of the four continents: Asia, Europe, Africa and the Americas. “We have chosen spices that have unique flavours and character. They surprise the palate, as they do not evoke the present-day cuisine of each continent so much as the real historical origin of each spice. Thus, for example, cilantro is included in the Taste of Europe, as Europe is the real origin of the herb,” explains the master picolier Marcos Reguera. Taste of the America: Brazilian peppercorn, black pepper, allspice and mace. Ideal accompaniment to grilled meats and carpaccio; for making escabeche and dressing green salads; with fruit salad or berries; with chocolate cake or mousse, among other things. Taste of Asia: Cinnamon, cardamom and Szechuan pepper. Perfect with ceviche, tartar, sashimi, or octopus; to accompany pasta or rice dishes; to make meaty stews, roasts and barbeques; or with brie, goat cheese and other mild cheeses. Taste of Europe: Dill seed, caraway seed, nutmeg and coriander. Ideal for making hummus, vegetable purées, pickles, grilled vegetables, roasted potatoes or mayonnaise; to accompany shellfish, salmon or blue fish; with fruit salads, beet salads and soups, among other things. 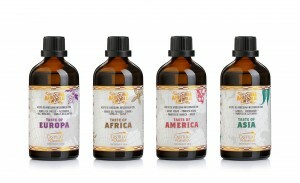 Taste of Africa: Melegueta pepper, cumin, vanilla and cloves. Perfect with strong and piquant cheeses like blue cheeses or Manchego; with couscous, legumes and pâtés; for making barbequed or grilled chicken; to accompany cakes, ice-creams and baked sweets. These new oils bring the flavours of green olive, artichoke, almond and fresh herbs present in Arbequino Extra Virgin Olive Oil together with the natural aromas of the spices in surprising and harmonious ways. These spices are more fashionable now than ever; their use is one of the principle gastronomic trends of the year. TASTE OF AMERICA evokes smoky flavours; TASTE OF ASIA is an explosion of citrus; TASTE OF EUROPE brings us fresh green flavours and aromas; and TASTE OF AFRICA achieves a great depth of warm aromas. 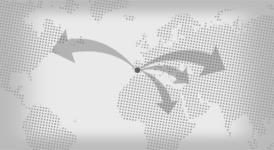 TASTE OF ASIA and TASTE OF EUROPE have a more primary, more immediate aromatic profile. TASTE OF ASIA permeates dishes with the citric and floral notes of Szechuan pepper and cardamom. These are offset by the honeyed zest of the cinnamon selected for this mixture, which is unique in its elegance and delicacy. On the other hand, TASTE OF EUROPE reflects the north of the continent, the fresh green flavours of dill and caraway seeds. It achieves a broader geographic profile through the inclusion of coriander (with its scent of orange peel and balsam) and of nutmeg (pine, floral and citrus aromas), which bring it closer to the landscapes and aromas of the Mediterranean. TASTE OF THE AMERICA and TASTE OF AFRICA achieve a deeper tone. In TASTE OF THE AMERICA the Arbequina varietal oil is permeated with the smoky hues of Lampong pepper, offset by the balsamic blast of Brazilian peppercorn, the aromatic versatility of allspice and the perfumed elegance of mace. The mixture evokes an urbane stroll through the heart of one of the great cities of the America. In TASTE OF AFRICA we perceive the rich culinary legacy of North Africa’s ancestral civilization. The classic pairing of cumin and cloves is enriched by the exotic Melegueta pepper, with its fragrance of exotic wood. The pepper’s sharp piquancy is mellowed by the velvety touch of Madagascar vanilla, which provides depth, body and a delicate hint of sweetness. According to the master picolier Marcos Reguera, “The inspiration for these four blends was born of the landscapes of each continent: drawing the most characteristic features of each from the very heart of the territory. Castillo de Canena has produced this collection of spice-infused oils through a careful process that maintains the essence and the quality of Extra Virgin Olive Oil, avoiding any change in its properties or loss of its flavour. 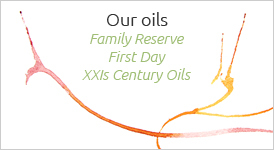 “To produce these oils, we have specifically developed a system of artisan production that follows the very strictest quality standards and protocols. The spices selected are imported raw and unrefined—with no chemicals or additives of any kind— in order to best retain their aromas and flavours. When they arrive they are ground in a special mill and encased in small cellulose sacks, which are immersed in Extra Virgin Olive Oil for several days, imparting their aromas and flavours to the Arbequino oil. Thanks to this process, the product’s quality is exceptional,” explains Francisco Vañó, the General Director of Castillo de Canena. When the Arbequina Extra Virgin Olive Oil is infused with these spices, not only do they modify the oil’s flavour, they also enhance its healthful properties. Castillo de Canena also takes great care with the packaging of our premium oils: our First Day of Harvest oil with its unmistakable cherry-coloured bottle, our Oak Smoked Arbequino with its elegant turquoise blue bottle, and our Arbequina&Co. with its amber bottles printed with flourescent colors. 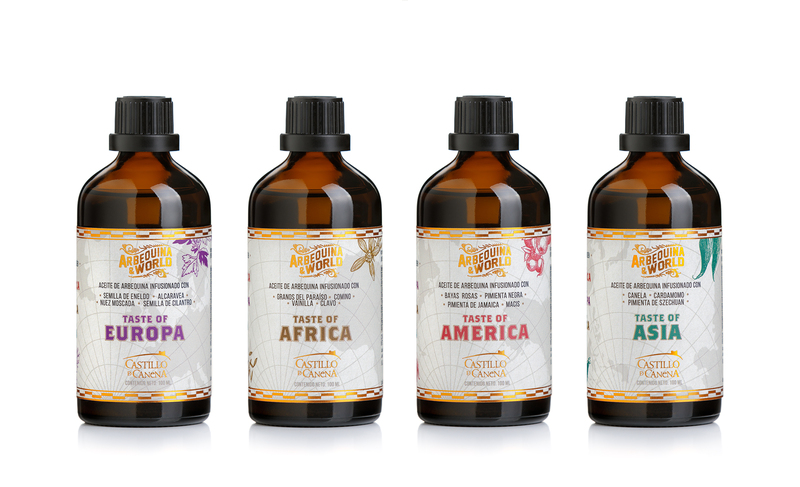 The new Arbequina&World oils stand out thanks to their amber-coloured glass bottles and their labels featuring a maps and illustrations of spices in tones of pink, turquoise, purple and brown. Each bottle includes a dispenser that makes the correct use of the product easier, as it measures precisely the quantity of oil necessary for each recipe or pairing. The four 100mL amber bottles are presented in a copper-coloured box.